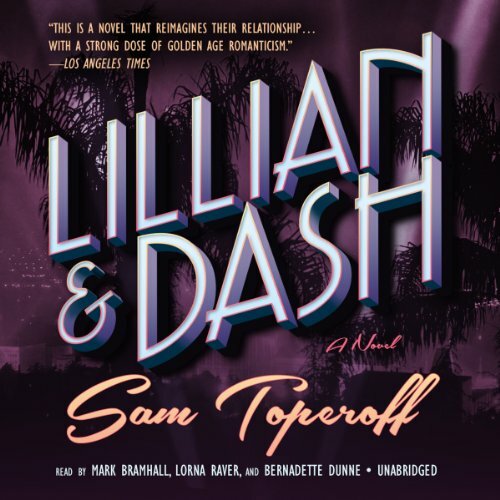 Toperoff reimagines the highs and lows of a fast-living, hard-drinking literary couple and their individual passions, projects, and literary creations. Hammett and Hellman’s relationship evolves during major artistic and political epochs - Hollywood’s heyday, the New York literary scene, the Spanish Civil War, McCarthyism, and both world wars - and each movement is captured with subjectivity and credible insight. Populated with writers, drinkers, filmmakers, and revolutionaries Lillian and Dash chronicles the unusual affair of two prominent and headstrong figures. I chose this book to get some insight into the creative minds behind stories I know best through the Hollywood renditions of their best works – Watch on the Rhine, The Little Foxes, The Thin Man, The Maltese Falcon. I got background stories, but for most of the book there was an unexpected distance that kept the writers from becoming flesh and blood. Part of the problem was that for much of the book they remained apart from each other, their stories told in parallel. That may have been unavoidable since their relationship did have long separations, but life was not well infused even when they came together. The other part of the problem had to do with the narration. I have enjoyed all three of these readers in previous selections, and their presence influenced me to download this book. But the producers made a curious choice about the narration assignments. The wonderful Mark Bramhall gave Hammett his voice and was by far the best part of the listening. But Bernadette Dunn as Lillian, and Lorna Raver as the overall narrator sounded too much alike to let Hellman sound distinctive. And because Raver narrated the largely third person voice, the sections dealing with Hammett’s life were read in the voice of an elderly woman. Raver is a very talented reader, and I have loved her in other outings, but her voice made it impossible to hear Lillian as a young woman in her 20’s and 30’s, and Hammett was just lost until Bramhall read his own words. It has been hard to choose a rating for the narration because all three read extremely well. The problems were in the production choices. The very end of the book, the final years of their devotion to each other finally brought Dash and Lily to life for me. The voices finally matched their ages, and the lovers were finally together. It raised the book from being mediocre to good if a bit flawed.